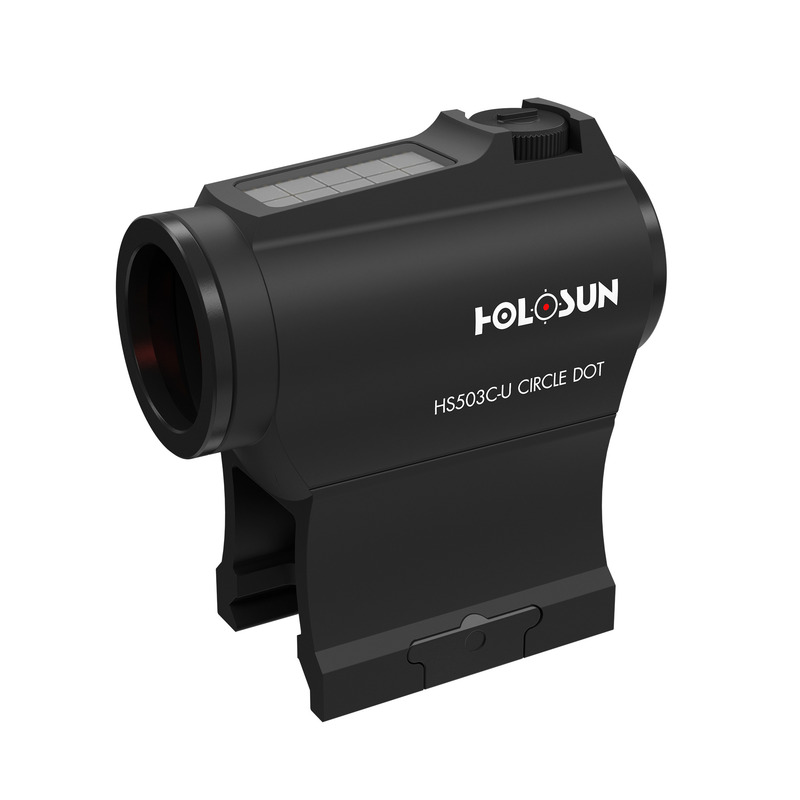 The product HS503C-U-BLACK is a red-dot-sight with switchable reticle and solar cell. Please notice the bevelled objective lens which avoids reflexes from e.g. sunlight. The Red Dot Sight requires only a few microamperes as operating current. This allows an operating time up to 50,000 hours with only one battery (depending on brightness of red dot). Auto power on/off: The sight will be automatically turned off after not being used for 8 hours.